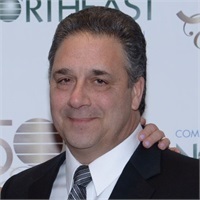 Don Comforti has been associated with Northeast Planning Corporation for over 30 years. Throughout these years, he has been persistently driven by his passion to help individuals and businesses plan for their future. Don’s unique approach to planning helps his clients create, preserve and maximize their wealth. Don resides in Westfield NJ together with wife Patti and daughter Caitlin. Don enjoys spending quality time with his family. His outgoing personality and gregarious outlook makes it easy for people to relate to him. He loves playing golf. To continuously promote proper planning towards a successful financial life, Don speaks in seminars addressing many individuals and professionals, among them, Medical Practitioners, Pain Physicians, Veterinarian Surgeons, Attending Physicians and Surgeons, Fellows, as well as Residents.